Most rental housing in the United States is not large apartment buildings but single-family homes, two- and three-family properties like Boston’s famous triple-deckers, and small multifamily buildings tucked into urban and inner-ring suburban neighborhoods. Rental properties with fewer than 10 dwellings (called “small rental properties” in this article) make up the backbone of the privately owned, affordable rental stock in this country. Despite the large volume of small rental properties, the importance of the private sector’s role has been largely ignored by public officials and policymakers who are more likely to see it as a problem, rather than as an invaluable and increasingly important source of housing for millions of Americans. In this article Mallach provides an overview of the privately owned small rental housing sector, and explores the important policy issues it raises. He concludes with suggestions about how the public sector, at all levels of government, can foster both better-quality existing rental stock and greater production of affordably-priced new rental housing. Only by considering both issues can we hope to ensure that affordable and adequate rental housing will continue to be available in our communities. Representing 21.6 percent of southern New England’s housing stock, small multifamily (SMF) properties (defined here as two- to four-unit properties) are vital to the supply of affordable rental housing in Rhode Island, Massachusetts, and Connecticut. Analyzing and comparing the borrowing trends of these owner-occupants and investors in the SMF property market reveals that investors may not engage in as much risky behavior as public sentiment leads one to expect. This article shows that owner-occupants have riskier borrower characteristics and take out riskier mortgage products than their investor counterparts. 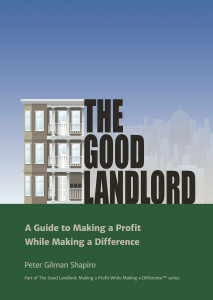 This guide is helpful not only for local government officials but for landlords, property management and nonprofit staff concerned with improving neighborhoods where their properties lie. The guide is simple, comprehensive and quite useable. What are the key challenges faced by communities as the REO inventory grows? What do the data tell us about REO markets? What incentives influence buyer and seller decision-making? What strategies guide community, municipal, and nonprofit responses? This collection of work examines field-tested solutions for neighborhood stabilization, such as code enforcement, maintaining occupancy through tenants, and land banking. It reports on ongoing programs such as the federal Neighborhood Stabilization Program and a national “first look” program for community-minded buyers. The volume also examines unintended consequences and proposes new solutions. There are over 18 million units in one to four unit rental properties in the United States, which make up over half of all of the nation’s rental housing. Despite the obvious importance of such a large and distinctive part of the housing stock, it has been given little attention either by those studying or seeking to frame public policy with respect to the nation’s housing. Even where studies have recognized it as a distinct sector of the rental housing market, they generally address it in passing, treating it at most as a discreet accompaniment to themes of greater interest to the author. More problematically, other studies of rental housing treat the sector as a largely undifferentiated market, disregarding significant differences between the one to four unit stock and the multifamily stock, differences which have great implications for the framing and execution of future housing policy. Although a small number of studies have looked at specific issues affecting the one to four unit rental stock, or examined its features in a particular geographic area (Newman, 2005), no study has explicitly set out to investigate this sector in the larger framework of the housing market. The purpose of this paper is to take an initial, preliminary step in that direction. The mortgage crisis that has gripped the United States since 2007 has resulted in property owners losing millions of properties through foreclosure, with a loss of hundreds of billions of dollars in individual and community assets. Through the foreclosure process, the majority of these properties have been taken back by the mortgage lender and become ‘real-estate-owned’ or REO properties. For the first year or so after foreclosures took off in 2007, REO properties often went begging. By the end of 2008, however, that was no longer the case. Private property investors – from “mom & pop” investors buying one or two properties to Wall Street firms and consortia of foreign investors buying entire portfolios – had moved back into the market in large numbers. Since early 2009, the ranks of investors have steadily grown, while it has become less accurate to refer to them as ‘REO investors’. Rather than waiting for properties to come into lenders’ REO inventories, distressed property investors – as they are more appropriately known – have been increasingly buying houses through short sales, buying non-performing mortgages, or bidding against foreclosing lenders at foreclosure sales. Today, their presence is a major factor in the marketplace of nearly every metropolitan area experiencing large numbers of foreclosures. Their activities are having a powerful effect on neighborhoods generally and on the neighborhood stabilization efforts of cities and non-profit community development corporations (CDCs) in particular. Their effect, however, is a matter of considerable disagreement and even controversy. The purpose of this report is twofold: first, to offer insight into how distressed property investors operate, and how their activities affect the neighborhoods in which they are active; and second, to lay out potential actions by local governments and CDCs seeking to find ways to work more constructively and effectively with investors in their communities. Nearly half of all poor, urban renters in the United States live in rental buildings of fewer than four units, and such buildings make up nearly half our nation’s rental housing stock. Yet small rental properties remain largely overlooked by researchers. We present two reports—from New York City and Baltimore—both providing suggestive evidence, drawn from a variety of sources, about the characteristics of small rental housing. The researchers find that while small buildings offer lower rents and play a crucial role in housing low-income renters, these lower rents are largely explained by neighborhood location. Ownership matters, however. In New York, lower rents are associated with small buildings with resident landlords. Further, the researchers also find better unit conditions in small rental buildings when compared to most larger properties, especially in small buildings with resident landlords. In Baltimore, they find that smaller-scale “mom-and-pop” owners dominate the small rental property market, but that the share of larger-scale owners increases in higher poverty areas of the city. The properties owned by these larger-scale owners receive fewer housing code violations and that these owners appear to invest more frequently in major improvements to their properties. While economists and others have studied the impact of abandoned foreclosed homes on nearby home prices and crime, very few scholars have attempted to understand the impact of abandonment and rehabilitation on neighborhood social conditions. The foreclosure crisis of 2005-2010 led to a concentration of abandoned foreclosed homes in disadvantaged neighborhoods and these neighborhoods became the targets of a policy intervention, the Neighborhood Stabilization Program. This study employs a mixed-method longitudinal approach to investigate the impact of this foreclosed home rehabilitation policy on neighborhood social conditions and physical conditions in a highly disadvantaged neighborhood.